Deutsche Telekom’s corporate customers arm T Systems is now providing a new software solution to evaluate very large amounts of machine-generated data in short time. Two German car makers are already using this solution to develop new models and driver assistant systems – on test tracks and simulations. And it’s looking good: the software compresses the data to about ten percent of the original volume without information loss. This reduces calculation times in the computing cluster responsible for analyzing the data. But the trick behind the system lies in good data preparation for simultaneous analysis using a large number of computers. This allows the data to be evaluated up to 40 times faster. The process’s creators have applied for a patent for it. 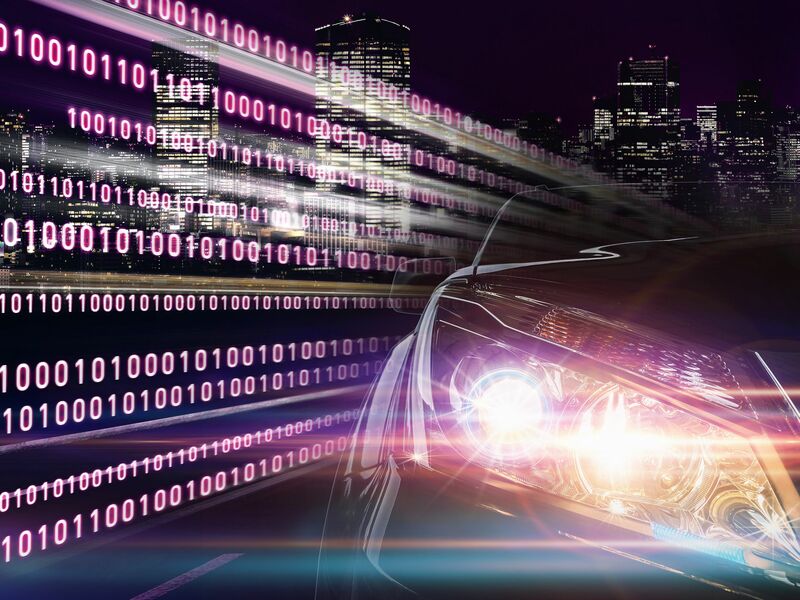 What with distance sensors, emission measurement, interior microphones and so on, modern cars are producing ever increasing amounts of data. And models currently in pre-production testing are generating even more information. A single prototype now generates about 10,000 values simultaneously. That typically adds up to up to three terabytes of data per hour. Once a test drive has been completed, the engineers feed the data recorded on the on-board hard drive into their computers. The analysis process used to take days. With T Systems’ new invention, however, the analysis software now finishes the job in hours. This allows engineers to identify familiar sensor patterns quickly. At the same time, the software is capable of finding co-relations between the 10,000 separate data streams entirely autonomously. And preparing the data produced by test drives in this way has another benefit: it speeds up the evaluation process. When a supplier makes changes to the software in a control device, there is no need to put the prototypes through another 150,000 kilometers of test driving. Instead, the car maker can integrate the updated control devices into a simulator. The simulator then re-runs the signals recorded during the test drives and saves the responses of the control devices in the T-Systems cloud. The results of this process are available in a few short hours, allowing the engineers to go on to the next stage of development faster. That’s how they can integrate new device software following a step-by-step process – and yet do so quickly. Find more information on the new “Big Data Signal Processing” software solution in the T-Systems’ customer magazine, Best Practice.